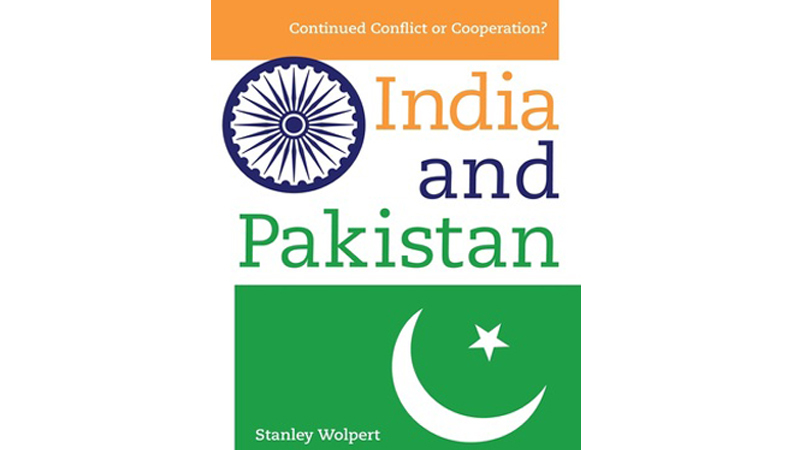 In this esteemed work, Stanley Wolpert shares his 60-years’ worth of personal experiences regarding relations of India and Pakistan. He starts with his first visit to India on the sad demise of Mahatma Gandhi in 1948. He analyses the role of Lord Mountbatten in the partition, particularly his debate on a “single federal dominion” and Muslim League’s stance for an “Independent Pakistan”. Wolpert criticises Lord Mountbatten, the last Viceroy of India, as British administration appointed Sir Cyril Radcliff for the partition of the Punjab and Bengal. Mountbatten did not share the Radcliff Award with not only the native Punjabis and Bengalis but also the Governors of both provinces. Furthermore, British troops left India in-spite of these critical law and order situations. These are the key reasons for historically one of the largest migrations turning into massive bloodshed, particularly in Punjab. Stanley highlights the political tussles of the INC and AIML (All India Muslim League). 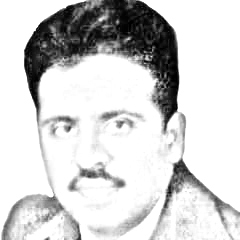 He admires the charismatic personality of Mr Jinnah saying that he “devoted the last decade of his life, and that of British India, to proving that his League commanded the support of the majority of India’s Muslim population, whom he claimed wanted their own separate nation-state of Pakistan…”. The demand of Sikhistan by the Sikhs was refused by Viceroy. Furthermore, Bengalis’ demand of Bangladesh for Bengali Hindus and Muslims made the situations worse. According to the June 3 Plan, Sir Cyril Radcliff was appointed as the chairman of the Boundary commissions for Punjab and Bengal. The author discusses shortly the joint venture of Mountbatten and Radcliff, particularly the partition of the Punjab and how Radcliff changed Boundary Award to give the geo-strategic benefits to India according to the desire of INC leadership. This partition increased the miseries of both newborn states like the division of the areas, gigantic issue of refugees’ settlement and rehabilitation. This unjust partition created the Kashmir issue, which later on became the reason of the first war between India and Pakistan. In the second part, Wolpert highlights the Kashmir issue as the significant reason for disturbance and Indo-Pak wars. He ranked the Kashmir issue as the flaming point between India and Pakistan. The historical and geographic introduction of the Kashmir valley is marvellous and informative. The socio-political and geographical history of Kashmir under Alexander, Sultans, Mughals and British eras is elucidated precisely. The writer’s discussion of post-partition Kashmir issue (war) is informative. He highlights Nehru’s version in 1948 on Kashmir war that it was “… a regular war” with Pakistan. The stances of India and Pakistan in the UN and the UN Security Council’s steps to solve the skirmish and ceasefire are penned appropriately. The author specifically discusses the foreign policy of both the countries over Kashmir issue. This event led the situations towards a horrifying war between India and Pakistan later in 1965. The author traces first the political grounds of this war and initiates the discussion from the placement of Ayub’s coup in 1958. Nehru considered Ayub a “lackey of Washington” as martial Ayub had visited the US for training in 1957. While during his visit, he also went to Texas and Virginia, headquarters of the CIA. Stanley discusses the historical and political importance of East Pakistan with its socio-political causes of separation and the formation of Bangladesh. The author precisely focuses on the elections of 1970 as one of the reasons for the partition of Pakistan in December 1971. Bhutto and Yahya Khan were not even expecting “the idea of turning their entire country over to Bengalis, however, whose language neither of them spoke, and whose small, dark-skinned physiques neither of them believed worthy specimens of Pakistani stature”. Wolpert briefly illustrates the socio-political situations after the bloodied partition of Pakistan in 1971. He discusses how Bhutto later gathered his nation and decided to remove the tints of defeat from India. Bhutto and Indira finally signed a peace treaty at Simla in July 1972. Bhutto stepped ahead towards a new Pakistan launching a nuclear programme for a strong Pakistan. “Zulfi thought of himself as a combination of Napoleon and Mao”. However, the whole shrewdness of Bhutto came to an end when he put Zia into power. Wolpert noted and considered Zia’s appointment as a “fatal mistake” and a “wild choice” of Bhutto. Benazir called him “the devil” and many others “a dark horse”. In 1977, Zia enforced martial law and eliminated Bhutto’s rule, and later Bhutto was hanged in 1979. This assassination of Bhutto produced a certain sense of distress and abhorrence among the moderate stratums against Zia. On the other hand, author precisely highlights the Afghan War, the role of Zia and the military aid by President Carter and recognition as the cold war’s “frontline ally”. In the last phase of the book, the author concludes the extraction of Russian troops from Afghanistan and the focus of Pakistani ISI on Kashmir issue to “liberate it” from Indian occupation. He ascertains that the last period of Indira Gandhi was a hegemonic era because she had high morale due to the establishment of Bangladesh and 1974 atomic tests. So the Kashmir war was not just a war of liberation but also a war of political and power tactics between India and Pakistan. Steadily, the Kashmir issue escalated the tension between India and Pakistan. In May 1998, India and Pakistan tested nuclear bombs and became nuclear powers. In response, world’s politics, particularly the US, focused on the stern issue of Kashmir and its magnitude on South Asia. Nawaz Sharif and Atal Bihari Vajpai’s meetings in Lahore remained useless. Stanley furthermore highlights the reference of Kargil Confrontation in 1999 and political claims of BJP regime. The author increasingly moulds the discussion towards Afghanistan and the 9/11 attacks because this event shifted the paradigm of world politics entirely. After this attack, Afghanistan and Pakistan were impugned as the nurseries of terrorism. The blame game concerning terrorist attacks and a new wave of terrorism damaged the Indo-Pak relations during early decade of 2000. Wolpert, particularly in reference of Pakistan, discusses the stances of ruling political elite blaming each other smashing the image of the country. In the end, Stanley Wolpert concludes and covers the whole discussion by proposing various solutions of the Kashmir conflict and the issues between India and Pakistan. He further admires the political efforts of India, Pakistan and Kashmiri leadership under the US-led involvement to resolve the tension in Kashmir. Published in Daily Times, July 9th 2018.